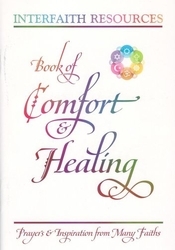 The Book of Comfort and Healing provides 210 prayers and quotations from Christianity, Judaism, Islam, Buddhism, Hinduism, Sikhism and the Baha'i Faith. There are also quotations from Zoroastrianism, Taoism, and Sufism. These prayers and inspiration from many faiths give comfort and healing to people struggling with the challenges of life. They will provide support in chapels or care center lounge rooms. The Book of Comfort and Healing is a 5"x7" paperback and 64 pages with a full-color cover and dark blue text. 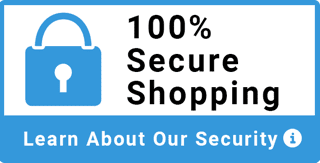 This book is designed to be attractive, easy to carry and affordable. This book becomes a lovely companion to the Interfaith Prayer for Healing bookmarks . Click "view larger" for Table of Contents. Quantity prices available below.